Artist Matthew Mazzotta delivers an experience which materializes abstract concepts around climate change conversations into something physical, something digestible. Its focus is to directly translate the research of the world’s top climate scientists into an experience where you can actually eat the results of their work. Harm to Table is a mobile dining experience with a metamorphosing dining table and a focused menu in which each item features an ingredient anticipated to be extinct in the next 20-40 years due to climate change. 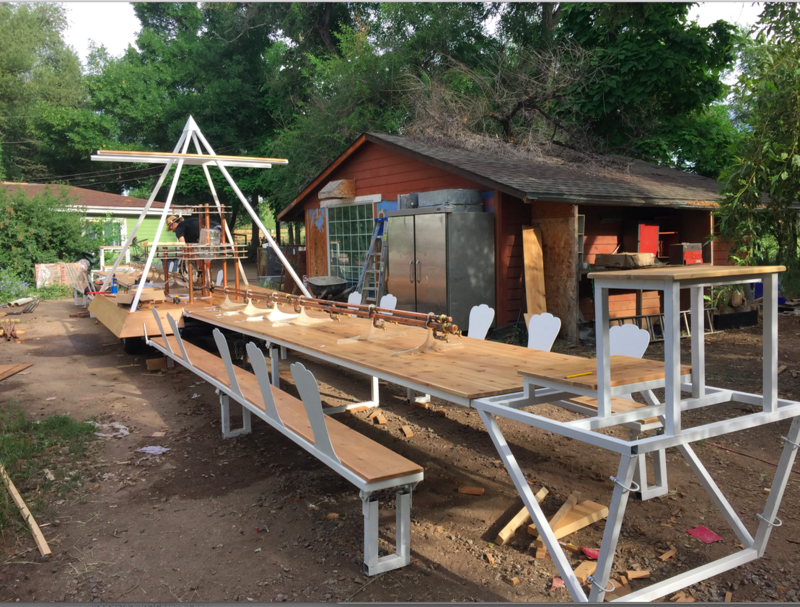 Born in Boulder, Colorado, the home of the highest quantity of federal labs that track the changing climate, the project is traveling the country to stimulate conversation by serving food made of plants and natural resources of the area that will be in major decline or extinct. Matthew Mazzotta works at the intersection of art, activism, and urbanism, focusing on the power of the built environment to shape our relationships and experiences. His community-specific public projects integrate new forms of civic participation and social engagement into the built environment and reveal how the spaces we travel through and spend our time living within have the potential to become distinct sites for intimate, radical, and meaningful exchanges. Mazzotta received a BFA from the School of the Art Institute of Chicago, a Masters of Science from MIT’s Program in Art, Culture and Technology, and is a Loeb Fellow at Harvard University.